Dropped holsters, even those that aren’t dropped that much, can rotate on the axis of the belt during the draw stroke. In some cases this is just a nuisance that causes a slight hitch in the draw stroke. However, in the worst cases, it causes the gun to bind and completely fouls the draw. That is obviously a big deal when you have made the decision to go to the gun. 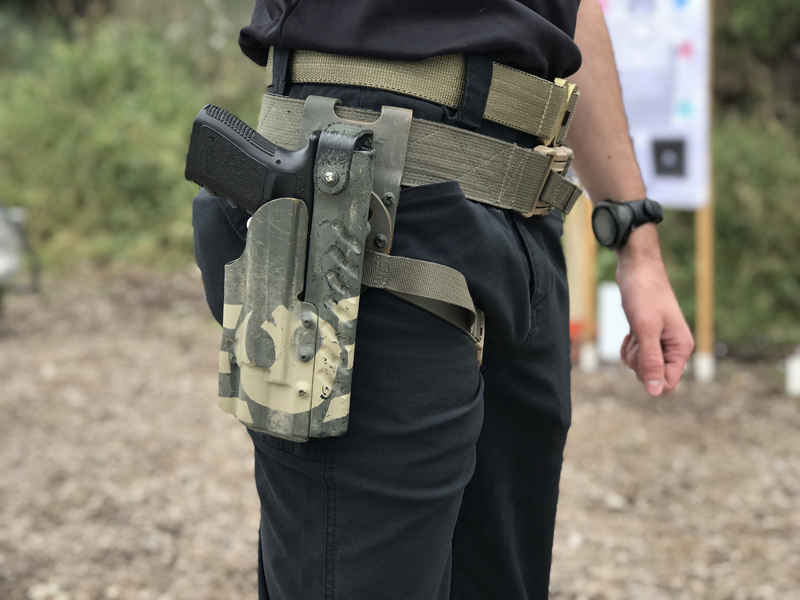 A single leg strap that helps fix the holster to the wearer’s leg is an easy fix. That is wear gear like Zulu Nylon Gear’s new NUHTS (Never Unstable Holster Tactical Strap) come in. The 1″ wide webbing strap is designed to simply slip onto several common holster mounting solutions like the Safariland QLS and G Code RTI. It features a sewn in elastic section that allows some flex for comfort.